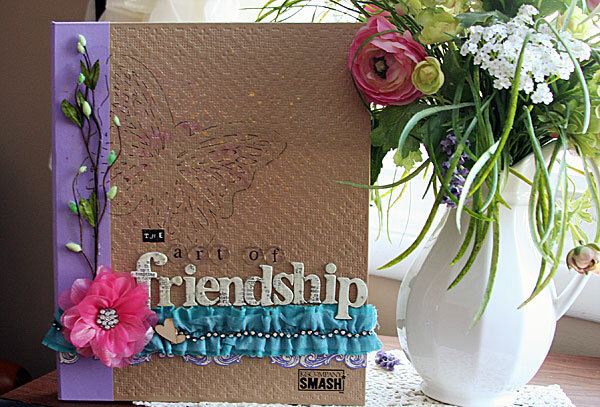 Book Club: Fabulous Friendship Festival Launch Party! 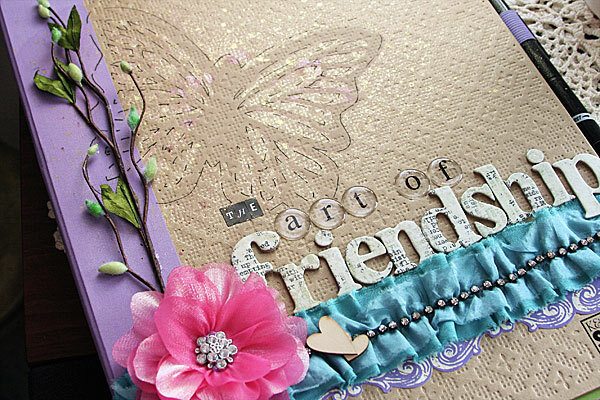 Welcome friends to Studio Tangie’s “If Every Art Journaler Read the Same Book” Club’s Fabulous Friendship Festival Launch Party!!!! I’m overwhelmed and giddy with excitement over the response we’ve had here on the blog and on the scrapbookgraphics.com message-boards so far. Thank you to everyone who is on board, I can’t wait to get to know you all better as we embark on this 10-week journey together. 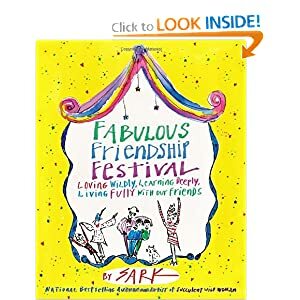 If you are brand new to us, see the announcement of the first book, Fabulous Friendship Festival by Sark, here. 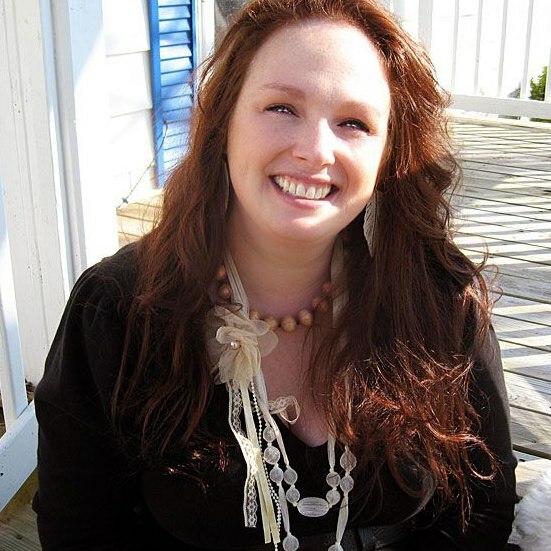 Sark teaches personal transformation classes live, and is the author and illustrator of over a dozen books, selling millions. In 2003, she relaunched her company as Planet SARK, focusing on publishing, events, and online commerce. Make Your Creative Dreams Real: A Plan for Procrastinators, Perfectionists, Busy People, Avoiders, and People Who Would Really Rather Sleep All Day, and Juicy Pens, Thirsty Paper: Gifting the World with Your Words and Stories, and Creating the Time and Energy to Actually Do It. 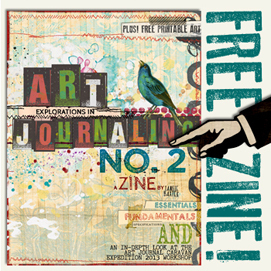 Prompt One is to create your cover for your art journal, and also a title page if you want. No reading instructions for Prompt 1! Just do your cover. Step 2. Journal based on the prompts.There will also be an Art Journal Technique suggestion each week. You can make as many pages or as few pages as you like. Step 3. Participate in discussion of the readings at the social network Connect in the special group just for us HERE. Register or login with your Facebook account. 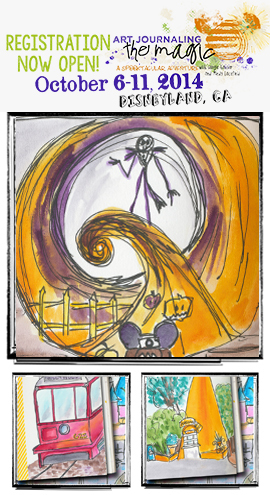 You can also ask questions there or here on the blog. Step 4. 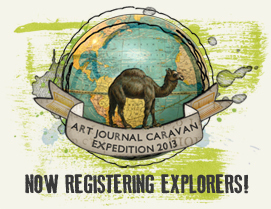 Upload your finished art journal page from the prompt to the our group gallery at Connect, and then post on the Studio Tangie blog, on the corresponding prompt, that you have uploaded your page(s). If possible, leave the url of your page. (Copy and paste). This lets everyone know when to look in the gallery, and I’ll get an email ntofication. Step 5. Comment on other group members pages in our group gallery. Step 6. Make sure you have fun! I started with my Smashbook Journal. I took a butterfly stencil, and sprayed a white gold mist, a gold mist, and a cherry mist over it. Then I outlined it with pen. I used a border sticker under the aqua trim. I attached the floral stem with Beacon 3 in 1 Adhesive, and then attached the pink flower. I added the wood hearts. I figured out how the word “friendship” would fit starting with p and working backwards. Then I added the words above it. Now it’s your turn! I am looking forward to seeing your covers and/or title pages!!! Next week, I’ll see you back here for my prompts based on Chapter 1! I’d like to join in if it’s OK. I’ve just ordered the book and it should be in by the 11th. Thank you so much for letting me know!!!! It’s gorgeous, I saw it in our Group at Connect.